All the spicy and wonderful tastes of chai tea in a cookie recipe that is perfect for the holidays. Chai spice cookies and a cup of tea are the perfect gift for that special someone! 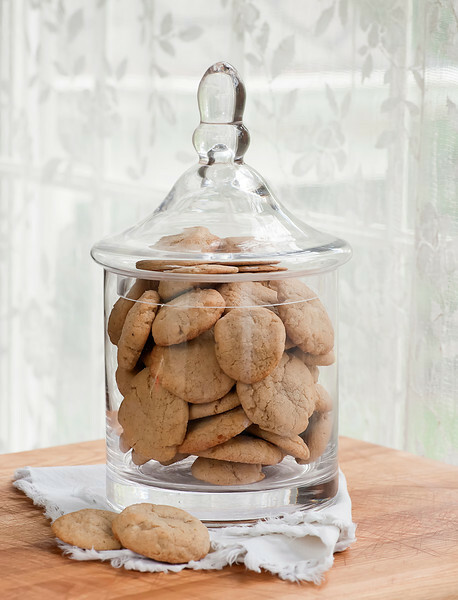 We are swinging right into the heart of Christmas cookie season, and one of the many many varieties that will be filling up the cookie jar in our house will be these sweet and spicy chai spice cookies. Just like chai tea, when you take that first bite it will taste just like a wonderful, familiar sugar cookie. But a few seconds later, you will get a teeny pop of heat – those are the mixture of spices that mixed together make up chai. And if you think chai tea is delicious, wait until you taste it in a cookie! And speaking of chai tea…for years and years, I was a plain Lipton tea drinker. Maybe English breakfast for days when I was feeling fancy, and maybe some fresh mint tea when I was feeling SUPER fancy. None of these exotic vanilla-caramel-cinnamon-chamomile-orange-blossom tea blends for me, thank you very much. Then one day, my friend Susan bought me a chai latte at Starbucks. Just TRY it, she said. And even though I had already decided I wouldn’t like it, I tried it. That was about 275,329 chai lattes ago, because I didn’t like it…I loved it. There was something about that blend of cinnamon, cardamom, cloves and, yes, pepper, that just tasted like heaven. I have no idea what took me so long to figure out that what worked in tea could work in a cookie, but better late than never, right? So here you have it, a basic sugar cookie recipe but with all those chai spices mixed in. You are going to be tempted to leave out the white pepper but I’m begging you…don’t! It’s totally, absolutely necessary to the whole chai taste. Trust me. 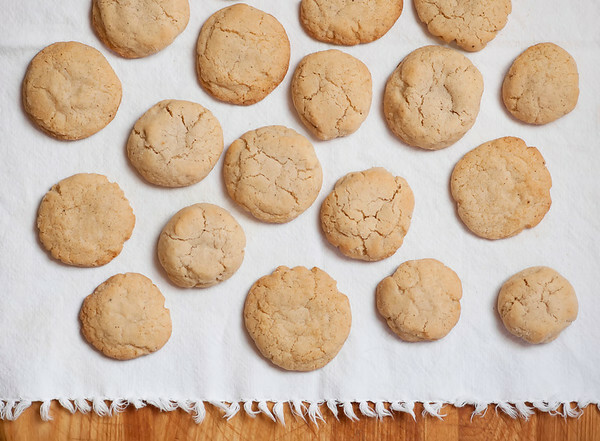 One last thing about this recipe…I actually worked it up last May, because that was when my chai cookie lightbulb went off in my head, and once they came out as deliciously as I hoped they would, I brought some over to my mom. She took a bite of one and said, “These taste like Christmas!” And you know what? They do! So just in time for Christmas, here are some chai spice cookies from me to you. They go perfectly with a cup of Christmas tea! 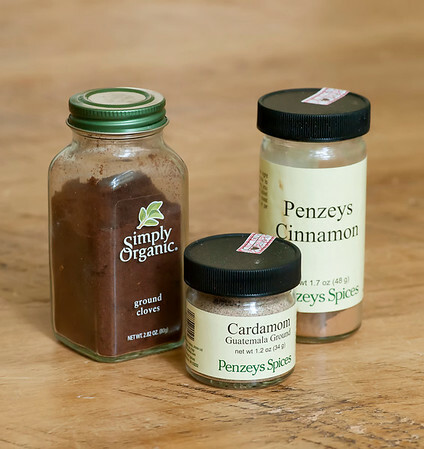 Mix together cinnamon, cloves, cardamom, pepper and salt until well combined. Set aside. Sift together flour, cream of tartar and baking soda. Stir in spice mixture until well combined. Cream butter and 1 1/2 cups sugar in a mixer at high speed for 3 minutes. Reduce speed and add eggs and vanilla. Add flour mixture in large spoonfuls until well combined. Put mixing bowl in the refrigerator until dough is chilled, about 90 minutes (although it can be longer if you want to make the cookies later in the day). When ready to bake, preheat oven to 350. Scoop out tablespoons of dough, roll them between your palms into balls, dust them with sugar and put them on a cookie sheet lined with parchment paper or a silicone baking sheet. Press them down with the bottom of a juice glass. Bake for about 7 minutes or until they are just turning golden. Cool on racks. I’ve had my fair share of chai lattes so far this season…and I think it’s time to transition over to cookies. What temperature did you bake at? I don’t seem to see it printed but I’m assuming 375. Good grief, that would be helpful wouldn’t it? 350, and I’ve added that to the post – thanks for the catch! Chai just doesn’t get enough attention :) I love these cookies, they sound perfect.